What followed was Hawkers being part of a 2-year restoration project that covered all manner of bespoke joinery. 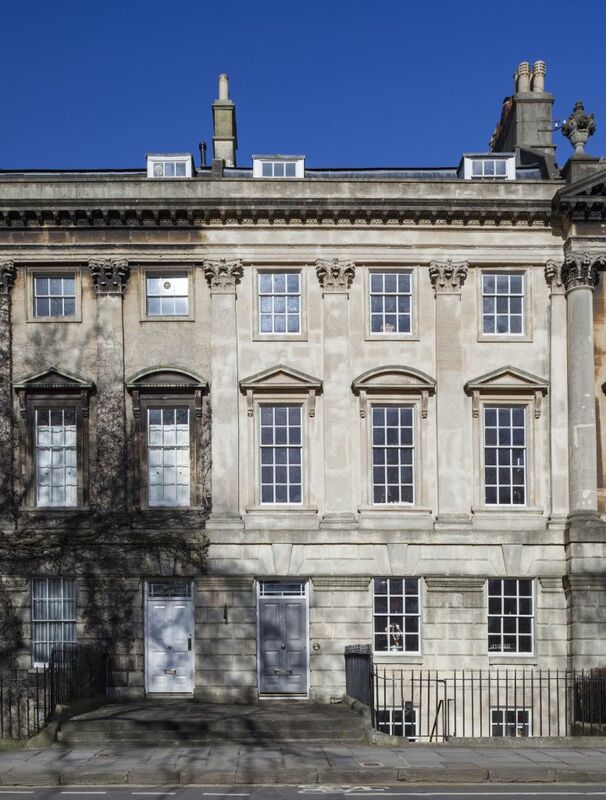 The property in question was Grade One Listed, on the northern façade of the Square and was the original first transformational Bath development of John Wood senior in 1727. With five floors and rear garage / orangery totaling 7000 square feet the project involved restoring, replacing and making doors, sash windows, shelves, lanterns, staircases and all manner of woodworking including putting back the original dumb waiter. Working with a large team of other trades and spending many hours with the client making sure that we followed their brief, our entire Hawkers team were at one time or another heavily involved in what was an exciting and thoroughly enjoyable project. The images cover some of the more interesting aspects of our work and demonstrate beautifully the range of skills and tasks that Hawkers takes great pride in producing. Joiner Andy who spent almost six months on site is still reflecting on the installation of the giant wedding doors and has nightmares about the number of times they were up and down before finally getting the perfect balance for seamless closing and opening. It is pleasing to see the property went on to feature in many magazines and know that we played our part in restoring one the Bath’s great houses to it’s original splendour.